:: Construction Graffiti ::: Fun contractor name Friday. I just feel like you can't be aggressive with glass and mirrors unless you're trying to maim someone. 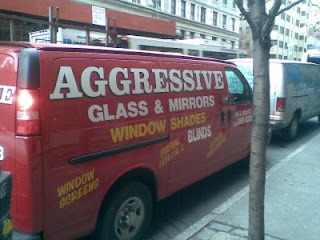 Don't even get me started about "Aggressive window shades."